Australian Jack Doohan finished a best of second in the British Formula 4 Championship at Rockingham. After starting from second, Doohan held onto the runner-up position to finish the first race of the weekend second and first in the Rookie class. Meanwhile, Patrik Pasma claimed victory and Dennis Hauger completed the final step on the podium in an Arden white-wash.
Doohan finished up third in Race 2 after duking it out with team-mate Hauger late in the race, as Johnathan Hoggard came out on top ahead of Kiern Jewiss at the Northamptonshire circuit. Once again, it was Doohan who won the Rookie class. An action-packed Race 3 featured another race win for Pasma, but there was drama further back when Doohan and Hauger came together on the opening lap, with the latter copping a five-place grid penalty for the next event. Sebastian Priaulx was one of the major profiteers from the early melee, taking second ahead of Jewiss in third, who continues to lead the standings ahead of Ayrton Simmons. Doohan maintains the Rookie class lead by one point over Hauger. 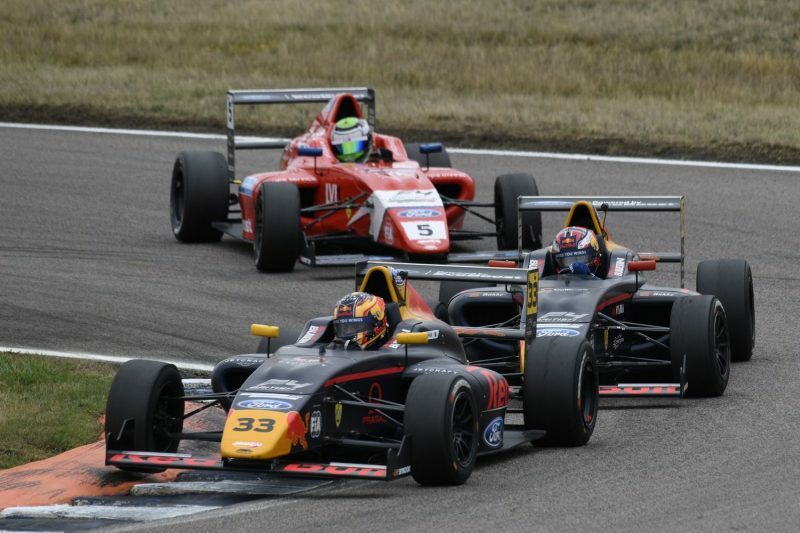 The F4 British Championship heads to Knockhill next from August 25-26. Ferrari’s Toni Vilander and Miguel Molina won both the Pirelli World Challenge GT races at Utah Motorsports Campus and with it the SprintX championship, while Matt Brabham finished a best of eighth. A power steering problem saw Brabham’s CRP Racing Mercedes-AMG GT3 co-driver Michael Cooper retire from Race 1. In Race 2, Brabham made up ground from 10th on the grid early on before they eventually finished eighth outright. The The R. Ferri Motorsport Ferrari 488 duo of Vilander and Molina dominated proceedings at the head of the field, racing through to victory in Race 1. Second was the Michael Christensen and Spencer Pumpelly driven Alegra Motorsports Porsche while Mike Skeen and Scott Heckert grabbed third in their Mercedes. In Race 2, the top three was replicated, as Vilander and Molina secured the SprintX title with victory, however second and third were swapped around. The Skeen/Heckert Mercedes led early on, but dropped to second when Vilander exited the pits in the lead. Christensen and Pumpelly finished third. 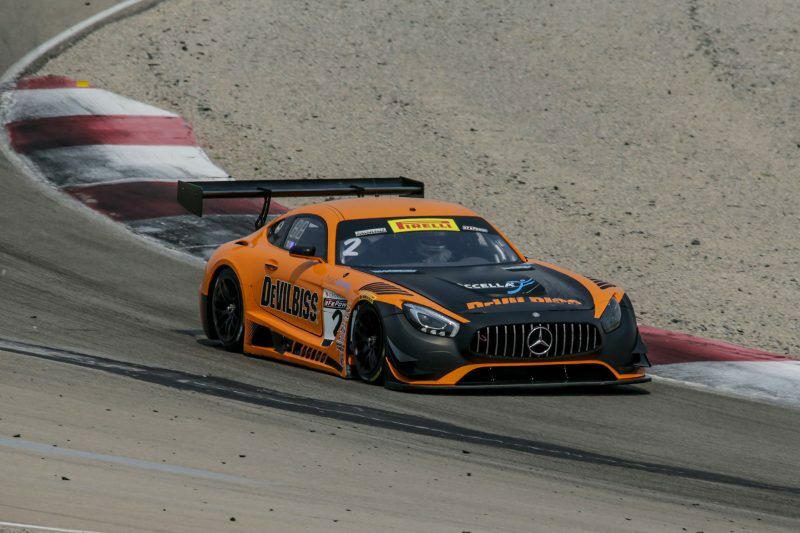 The next round of Pirelli World Challenge takes place at Watkins Glen International from August 31-September 2. 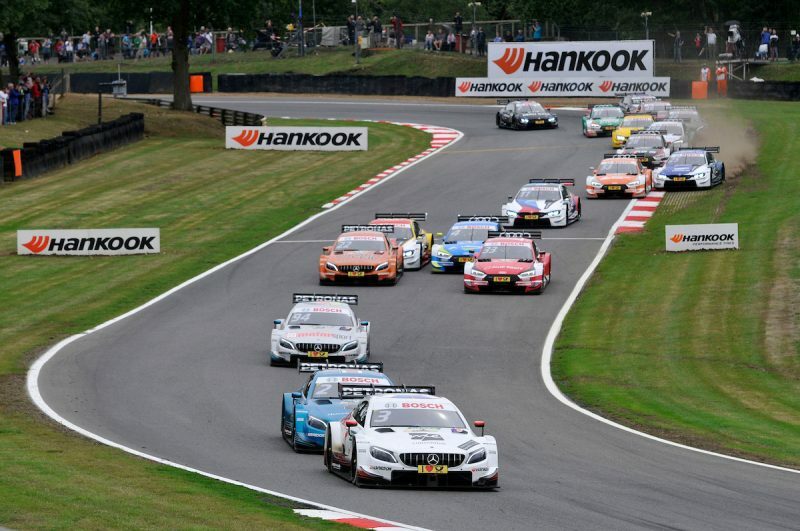 Mercedes took top honours in both DTM races on the weekend at Brand Hatch as Daniel Juncadella and Paul di Resta shared victories. Juncadella made a sluggish start off pole position in Race 1 which saw the Spaniard drop to third as Lucas Auer (Mercedes) took the lead. Rene Rast (Audi) moved into second but pitted at the end of the first lap, promoting Juncadella back to second place. Juncadella passed Auer for the effective race lead at Graham Hill Bend shortly after their respective pit stops. BMW’s Augusto Farfus climbed his way up to second from fifth on the grid as Auer ultimately finished third. Di Resta passed pole-sitter Gary Paffett (Mercedes) at the start of Race 2 and retained the lead at the conclusion of the pit stop sequence to bring home the win a second ahead of stablemate Paffett. Rast closed in on the leading pair late in the race but had to settle for third. The only major incident came early in Race 2 when Auer, Farfus and Robin Frijns (Audi) all made contact exiting Graham Hill Bend, damaging Farfus’ machine and triggering a Safety Car. Paffett continues to lead di Resta in the championship ahead of Round 7 at Misano from August 24-26. Adam Morgan, Ashley Sutton and Chris Smiley shared the spoils in the British Touring Car Championship at Rockingham. Morgan claimed a relatively comfortable Race 1 win from pole position, his third win of the season, however it was musical chairs for the final two podium positions. A switchback manoeuvre from Sutton on Lap 13 promoted him into second, where he would finish as Tom Chilton held onto third. Sutton won Race 2 despite challenges from Morgan and Tom Ingram throughout, after a slow start for the Race 1 victor. Morgan took second but it was Ingram that had the most impressive performance of the race, charging from 27th on the grid to third. Race 3 saw Smiley take his first ever race victory, as Colin Turkington and Matt Simpson shared the final two spots on the podium, with the latter securing third by 0.029s ahead of Sam Tordoff. Turkington continues to hold a narrow lead over Ingram in the standings. 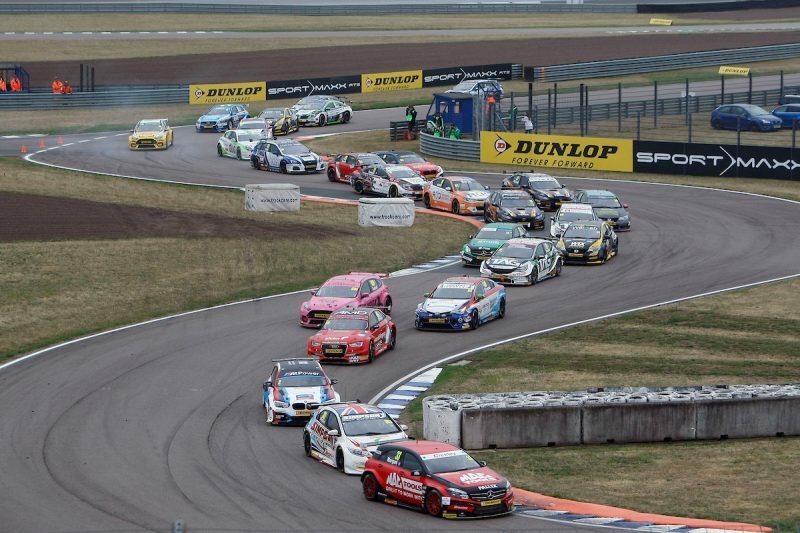 The British Touring Car Championship returns to action at Knockhill for Rounds 22-24 on August 25-26. 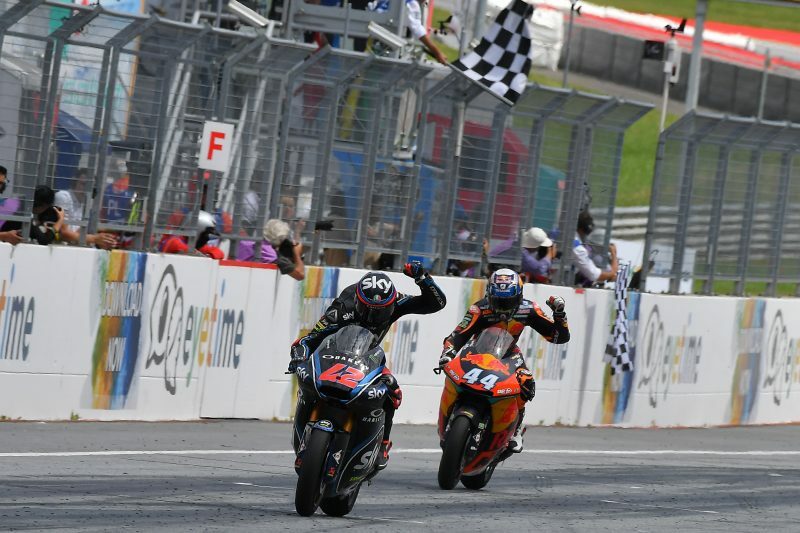 Francesco Bagnaia has reclaimed the Moto2 championship lead from Miguel Oliveira after beating him in a final-lap fight for victory at the Red Bull Ring in Austria. Bagnaia made a good initial launch from pole but was passed by Oliveira on the run to the first corner and lost another position when he and Fabio Quartararo made contact at turn-in. The Italian passed Jorge Navarro for second position on Lap 5, when Oliveira was one second up the road. Bagnaia had all but caught the Portuguese rider with 10 laps to run and made his first move at Turn 9 on Lap 21 only to be re-passed at Turn 10. The Team VR46 rider was similarly unsuccessful at Turn 1 and then again at Turn 9 with two laps remaining. However, Bagnaia got underneath at Turn 9 on the final lap and it was Oliveira who couldn’t stick the re-pass at Turn 10, with the pair separated by 0.264s at the chequered flag after 25 laps. Remy Gardner (Tech3) crashed on his own on Lap 4 and was a DNF. Marco Bezzecchi extended his Moto3 championship lead having led for virtually all 23 laps, while Jorge Martin finished third after fracturing his hand in practice the weekend prior. Round 12 takes place at Silverstone on August 24-26. Triple world champion Nicki Pedersen broke a nearly three-year drought in winning the Malilla round of the Speedway Grand Prix series. 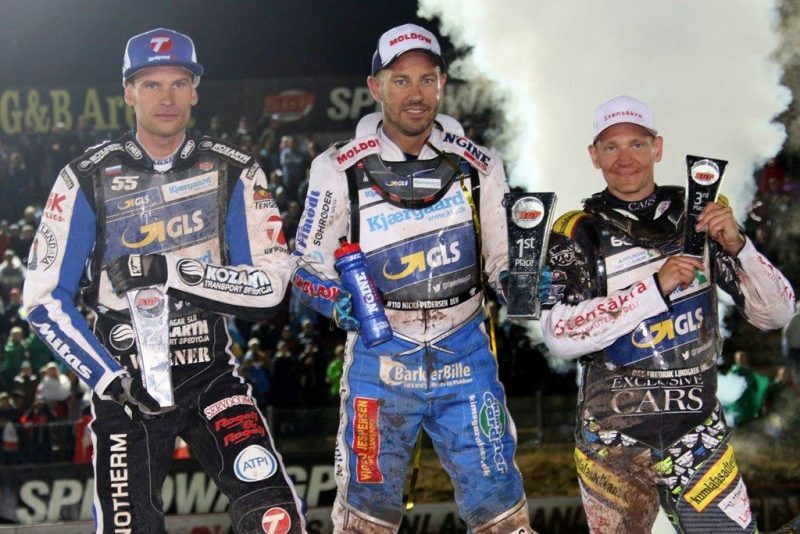 The Dane won the final from Slovenian Matej Zagar, Sweden’s leading local hope Fredrik Lindgren, and Slovak Martin Vaculik. Neither Australian made the semi finals. Chris Holder finished 12th for the event with two second placings in his five heats, while Jason Doyle was 13th overall. Doyle is 11th in the standings and Holder 12th, with Tai Woffinden taking a reduced lead to Round 7 in Gorsow, Poland on August 25. 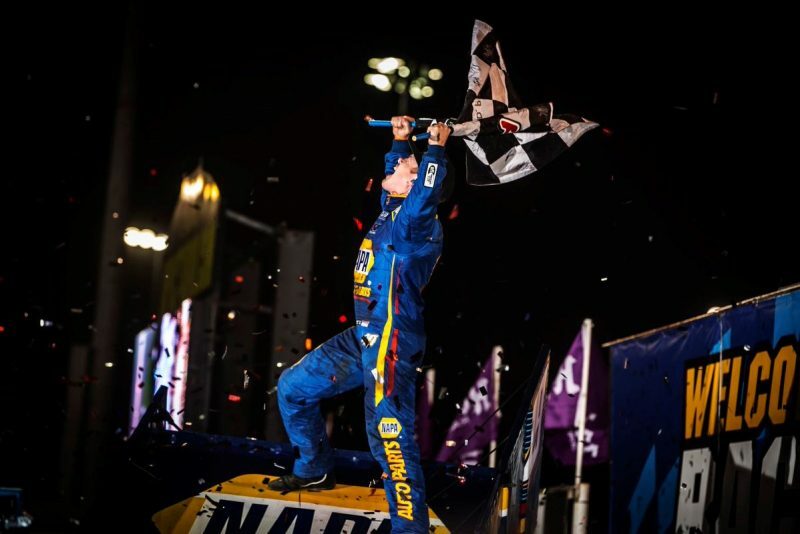 Brad Sweet has broken through for his first win in the Knoxville Nationals in the 58th running of the famed sprintcar race. Sweet qualified on pole and led the field all the way to the compulsory red flag period at the halfway mark of the 50-lap affair. NASCAR Cup Series driver Kyle Larson took advantage of an untidy run by Sweet to take over first position on Lap 28, but he would only hold the ascendancy for a couple of laps. Sweet reclaimed the lead before facing a major threat from 10-time and defending Knoxville winner Donny Schatz, who was on a charge in the latter stages. The pressure built when Australian Kerry Madsen crashed with two laps remaining, setting up a grandstand finish, but Sweet went on to take the chequered flag 0.133s to the good. Schatz finished second and Larson third while the best Australian was Ian Madsen in 11th.